Dr. Werber has enjoyed a rewarding 35-year career as a foot and ankle surgeon in reconstructive foot and ankle surgery. 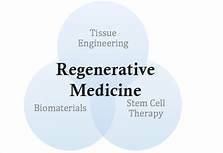 He is now directing his focus on his passion to bring regenerative therapies to patients with a multitude of injuries and pathologies, to shorten their healing time, and in many situations eliminate the need for surgical intervention. Currently President of Anu Life Sciences, a BioStem Technologies company, Dr. Werber has built a team, and knowledge base for product development, processing, regulatory, intellectual property, clinical research and clinical implementation. He has an in-depth knowledge of biomaterials, medical devices, cellular and protein interaction in both the 351 and 361 regulatory pathways. His 35 years of surgical experience bring additional expertise as a surgeon understanding the intraoperative and postoperative needs and expectations of the surgeon and patient. Dr. Werber holds four US patents in the medical field, 6 patents pending.